Women’s International Boxing Association bantamweight champion Cherneka “Sugar Neekz” Johnson 9-0 (4) is gunning for her tenth straight win when she takes on Thailand’s Siriphon Chanbuala 12-5-2 (5) over six rounds on the undercard of the fourth annual Frank Bianco Cup at the Melbourne Pavilion in Melbourne, Australia this Friday night. The 22-year-old Johnson, who claimed the vacant WIBA title against Rungnapha Kaewkrachang 13-13-1 (1) at the same venue in March, says she in top condition for what will be her seventh Thai opponent. “I am feeling as fit as ever, feeling sharp and ready to go,” Johnson told the Warrnambool Standard. “10-0 is something I haven’t reached at any point in my career yet. I got to my 10th fight in my amateur career and lost. Johnson was born in Tauranga, New Zealand and moved to the Queensland capital of Brisbane with her family as a 12-year-old. She took up boxing for fitness but soon fell in love with the sport and was competing against other girls within three years. 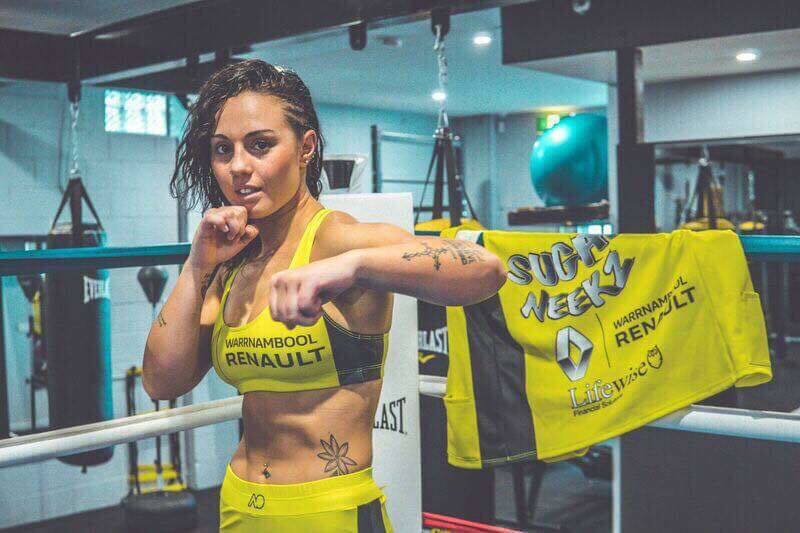 Her first trainer, former IBF lightweight champion Phillip Holiday, took her to three Australian titles, three Golden Gloves championships and five Queensland state titles as an amateur. Johnson, who now lives in the Victorian coastal town of Warrnambool where she trains under Rudy Ryan, admits she doesn’t know much about Chanbuala but doesn’t expect that to cause her any problems on the night. “I don’t know a lot about her,” she admitted. “I do know that she has fought for two world titles before and has been in the game a long time. Johnson’s fight will be on the undercard of the fourth annual Frank Bianco Cup, a last-man-standing tournament that pits eight heavyweights against each other over 3×3 minute rounds. This year’s competitors are Thomas Peato, Kiki Toa Leutele, Filipo Fonoti Masoe, Brett Jeffrey, Casper Turner, Christian Ndzie Tsoye, Faiga Opelu and Omar Aldafai. The Big Time Boxing show will also feature world-rated super featherweight “Aussie” Joel Brunker 33-2 (19) up against Kiwi Nort Beauchamp 16-2 (3) in an official eliminator for the WBA Oceania 130-pound title. The 32-year-old Brunker is ranked WBA number 12 at 130-pounds and has only ever lost to world titleholders Lee Selby and Josh Warrington at featherweight. Also in action will be former AFL hardman Shane Mumford who will be making his debut against experienced heavyweight Kyle Brumby 5-13-3 (1) in a four round bout.